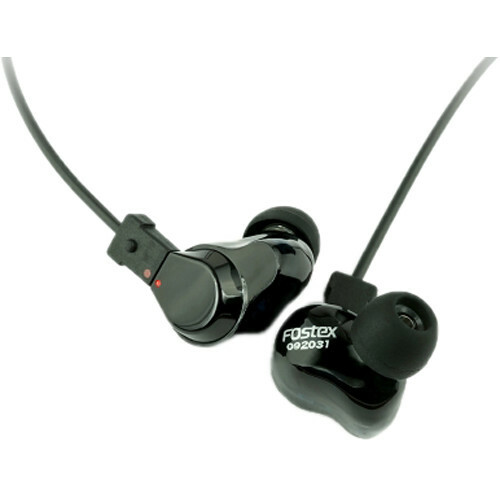 The Fostex TE100 Stereo Earphones feature a hybrid-driver configuration of 9mm dynamic-type full-range drivers and balanced-armature HF drivers. Adopting the air-controlled acoustic tuning engineered by FitEar, the earphones offer maximum sound isolation without a vent hole. The earphones come with eartips of three sizes (S, M, L) and double-flange eartips.